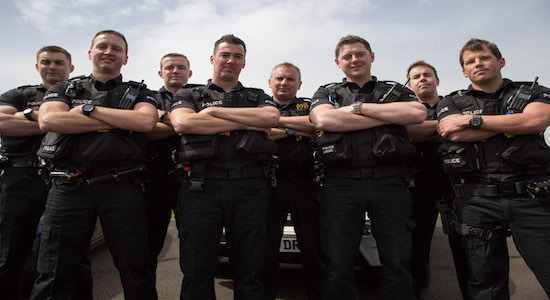 Police Interceptors is back with a brand new series; and this time it’s bigger and better than ever before. With unrestricted access to Durham and Cleveland’s most formidable law enforcers, cameras follow the officers every step of the way as they hunt down and lock up lawbreakers in one of the toughest parts of the UK to police. 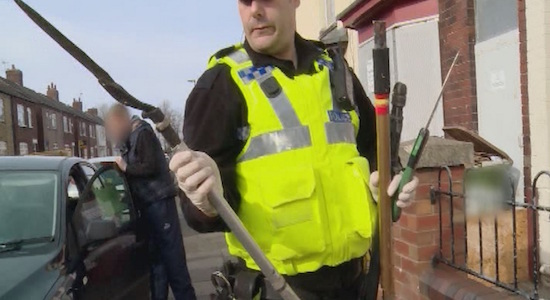 Interceptor’s Kev Salter and Steve Brant have their work cut out tackling a runaway stolen van; there’s a standoff between armed officers and dangerous knifeman; and Jack Hamilton takes on a guy wielding a length of guttering when a roadside stop spirals out of control. Plus, cops combine forces to round up a stolen 4×4. Dog handler Jimmy Grieves collars a thief in the act. The Interceptors use the big red key to open the door of a drugs farm, and Darren Cawthorne deals with a driver that’s literally kicking off. Plus, there’s an emergency landing at Durham Tees Valley Airport. 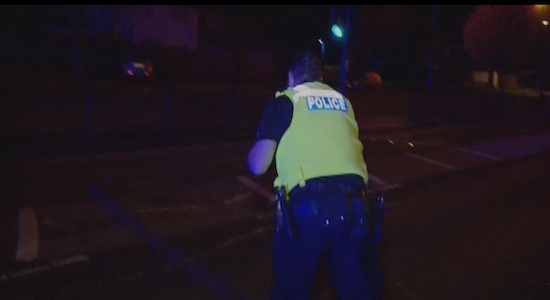 It’s all-guns-out for the Interceptors as Kev Salter and Ian Squire hunt for a man roaming the late-night streets with a machete. The driver of a Feisty Fiesta makes off from the cops and takes the pursuit off-road. An uninsured boy racer takes his mum’s car out for a spin with his mates but leaves a trail of destruction in his wake. Interceptor Damien Stevens draws his stun gun on an aggressive driver, the hunt for a suspected armed robber turns up a nasty surprise for dog handler Jimmy Greaves, and Paul Jackson grapples a man with a machete. Plus, cops get kitted up to raid the home of suspected cannabis grower. Damo Stevens hunts down a heroin dealer. Jacko rushes to a critical car crash, the Interceptors investigate some potentially hazardous goods, and a young driver makes a mistake she will regret. Plus, Kev discovers something in an airing cupboard, and it’s not an odd sock. PC Damo Stevens takes on an aggressive arsonist intent on bringing Darlington to a standstill, dog handler Andy Hunt gets called to a violent domestic and Sergeant Kev Salter is hot on the heels of a runaway quad bike. Plus, PC Paul Jackson unleashes advanced police stop tactics to apprehend a team of suspected thieves. Kev and Andy pull over a Peugeot, but the occupants are in no mood to hang around and make a run for it. An anonymous tip off leads the interceptors to track down a coach load of cage fighters, possibly with drugs on board. A suspected wheel thief kicks off on the carriageway and a drunk dances with death as he walks the wrong way up the middle of the busy A19. Kev and Steve go on the hunt for suspected heroin dealers. 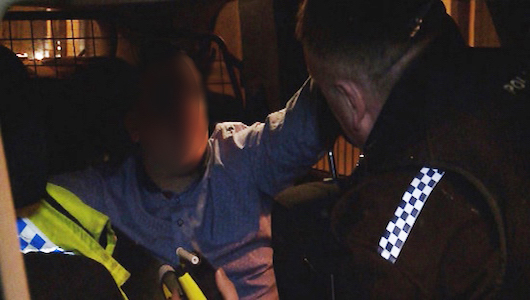 A drink driver blows three and half times over the limit, Dog handler Liam Sewell attends the scene of a suspected arson attack, and Kev reveals a shocking way to rewire your house. Plus, Damo Stevens deals with a sleepy drunk driver. Interceptors Justin Moffitt and Paul Faulkner chase down a gang of suspected car thieves; a drug raid turns life threatening and a violent thief tries to sink his teeth into the cops. Plus, dog handler Jimmy Grieves tries to make sense of a bloke with a blooded face. 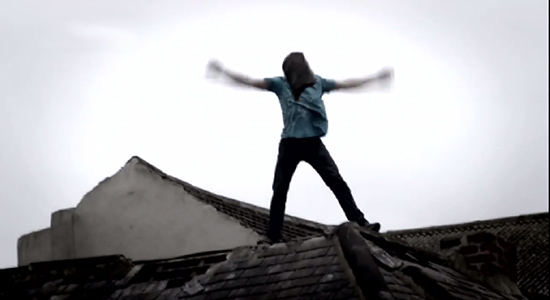 This week the Interceptors twice face up to an armed menace. They’re on the heels of a gang of armed robbers in an epic high-speed pursuit covering 80 miles and taking them across two counties. And in Bishop Auckland Jacko rushes to capture a man armed with an axe who’s threatened a PCSO. Meanwhile Paul Faulkner hunts down a drug dealer with a huge haul of Heroin in Middlesbrough, and Kev Salter and his team collar a karate-kicking drunk with a chip on his shoulder who just won’t go home. 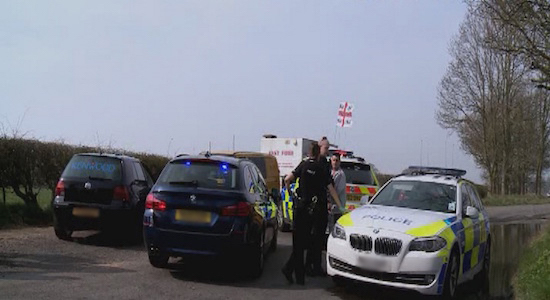 Police Interceptors Under Attack is a one off special highlighting the danger the police face when undertaking their daily jobs. Using unseen stories, archive and interviews, we will get to understand what it is to be an Interceptor in the harshest of situations. In this episode the Interceptor officers give us in depth interviews about the most intense situations from across the series. Angellica Bell joins the highly trained police dog teams in the Cleveland and Durham Specialist Operations Unit. With the dogs being used for hunting down people and sniffing out trouble, we look at them in action, in training and explore the endearing bonds made with their handlers. 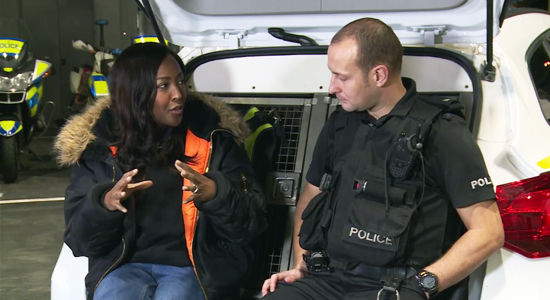 Using new stories from the Unit as well as archive footage, this one-off special showcases the vital role the dog unit plays in collaring criminals within Cleveland and Durham.